This tax-saving season, your choices may seem compressed if you look at the returns from your traditional tax-saving products. With EPF, 5-year tax-saving NSC, FD, and PPF all seeing a dip in their interest rate in the past one year (which again may further go down), market-linked products such as tax-saver funds (DSP BlackRock Tax Saver Fund) score over these by a mile now. I added one more tax saving mutual fund (ELSS) to my existing portfolio – DSP BlackRock Tax Saver Fund. This mutual fund has been a consistent performer but moved up on my list in the past few quarters. The fund’s return of 13.8% in the past one year was conspicuous; as the category managed only about 7% in this period. Contained exposure to mid caps helped the fund manage falls in the beginning part of 2016 and yet make the best of this segment as mid caps still outperformed after every dip this year thus far. Investors with a moderate risk appetite shall consider investing in this fund for their tax-saving needs. Investments in the fund will provide you a deduction of up to Rs 1.5 lakhs from your taxable income under the Section 80C of the Income Tax Act. Capital gains from these funds are excluded from tax. The ELSS fund has a lock-in period of just 3 years, given the tax deduction benefit available under Section 80C. DSP BR Taxsaver, like all other tax-saving ELSS funds, is an equity fund. It predominantly invests in large-cap stocks, with exposure in this market cap ranging between 70% to 75% and rest in mid-cap and small stocks. To this extent, it carries marginally higher risk than Franklin India Taxshield (which has higher exposure to large-cap stocks), while both these funds are in our moderate risk category. Investors with the low tolerance for risk should prefer the Franklin fund particularly if they are new to equity funds. DSP BR Tax saver fund has a very consistent track record of beating its benchmark which is Nifty 500, 100% of the times when its returns are considered over one year time frames (for the past three years) and 3-year time frames (over the previous five years). Refer above historic graph of DSP Blackrock Tax saver fund (Regular Fund); here you can see NAV chart is always increasing since its inception. This gives you confidence that you will get great returns in any timeframes. Also here you can see funds returns over 10 years. This shows how consistent the fund is from many years. The fund has given massive 23.68%, 19.87%, 14.54% and 15.48% returns in consecutive 3, 5, 7 and 1o year timeframe. 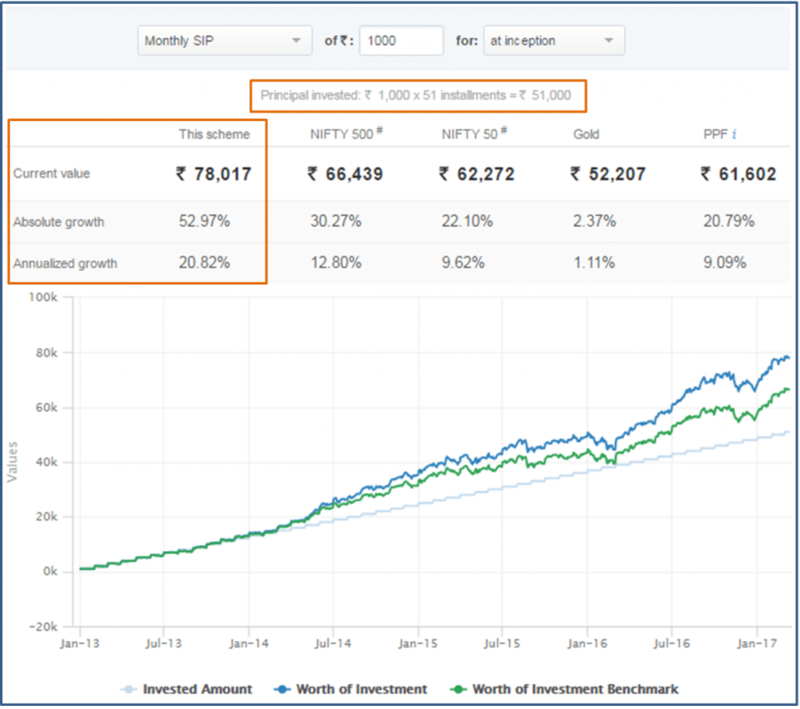 As shown in above image, if you would have started Rs.1,000 SIP in this fund at inception (1st Jan 2013) of the Direct plan then you should have got Rs.78,017 at the annual growth of 20.82 percent. 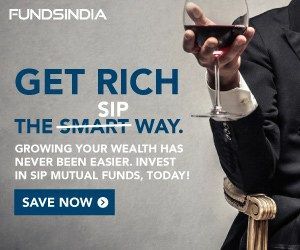 You can also check your returns in other schemes such as NIFTY, Gold, and PPF; here you will observe that you are getting almost double returns than any other investment option. DSP BR Tax Saver Fund managed this calendar far better than many other funds. Fund mostly invest in quality large cap stock with the allocation of 73.7%, followed by small-cap – 10.7%, mid cap 8.8% and Micro-cap 6.8%. 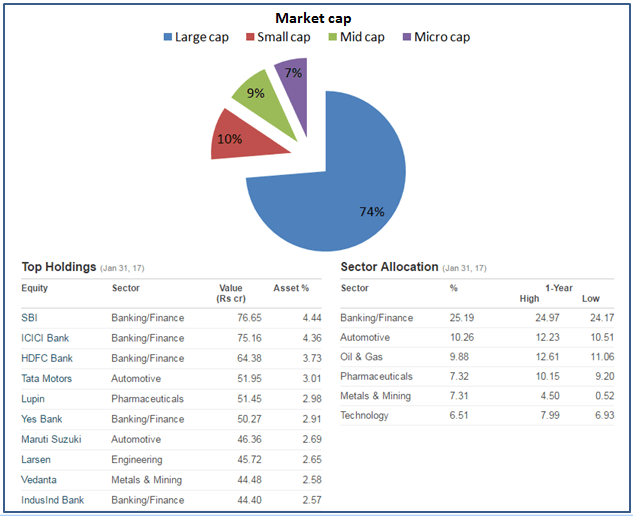 The fund is heavyweight on current best-performing sectors such as Banking/Finance (25.19%) and Automotive (10.26%). Holding the best stocks in the mid-cap space – be it Finolex Cables or IndusInd Bank or large-cap stocks such as Maruti Suzuki India or State Bank of India – the fund got its stock picks correct, in the volatile market of 2016. It also made the correct exit decisions: either by selling when stocks swelled in valuation (e.g. Bajaj Finance) or by weeding out select stocks in underperforming sectors such as pharma. This active portfolio management produced a high portfolio turnover of 100-130% in the past nine months ending October; far higher than that of its peers. Some portfolio shuffle was seen after the fund saw a change in its fund manager (Rohit Singhania) in July 2015. As you know, that Expense ratio factor is important, as it drastically changes your returns over the period. Lower the Expense ratio, better are the returns. This ELSS does not charge any entry/exit load. The DSP BlackRock Tax-Saver Fund takes 2.54% for Regular Plan & 1.09% (as on 28th Feb 2017) for Direct Plan of the AUM (asset under management) every year as fund expense fees. Now almost all the mutual fund houses have launched Direct plans, which is excellent news for all. It is always recommended choose the Direct plan as they give you more returns than Regular Plans. The measurement of risk of the mutual fund is a bit technical. A fund is riskier if it fluctuates more than the benchmark index. If Nifty falls 5% and fund falls 10%, the fund is riskier. The swing of the fund in comparison to market is measured in terms of standard deviation and Beta. The standard deviation of DSP Blackrock Tax saver fund is 16.27%, and Beta is 1.07. Greater standard deviation means riskier fund. The beta of greater than 1 means the fund is riskier compared to Benchmark index. If benchmark index grows by 100%, then the fund will grow 107%, and same applies for fall. Among the top 5 ELSS, the DSP Blackrock tax saver fund is a bit risky. But it has given by far the best returns than any other mutual fund. DSP Blackrock tax saver fund is the only CRISIL rank 1 fund in large (greater than Rs.1,000 Cr.) fund houses. As seen from below chart we can see that fund has outperformed other funds in all 1, 2, 3 and 5 years timeframe. 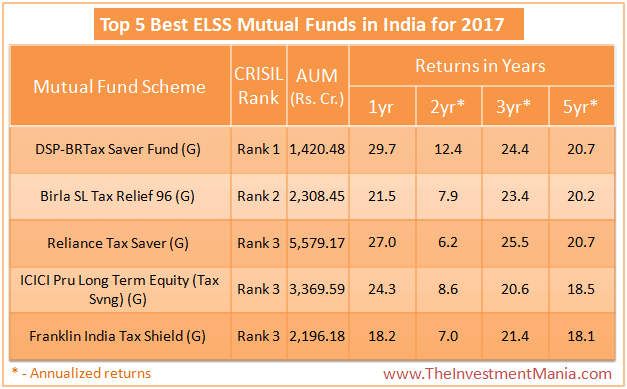 DSP Blackrock tax saver fund has outperformed the ELSS mutual fund category in all timeframes. Fundamentals and the investing strategy is superb than any other mutual funds. This fund is perfect bet for you to save tax as well as gain huge returns. DSP looks good in current scenario. Great returns. Is it a good idea to keep 2 ELSS funds in portfolio. According to me there should not be a problem. 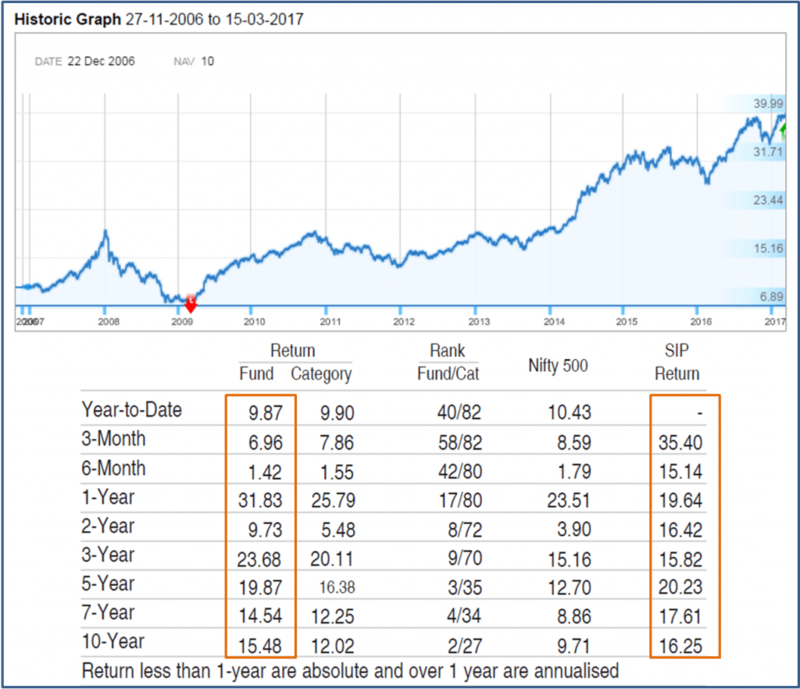 Since from last many years Axis long term equity was best elss fund but due to huge AUM fund is underperforming benchmark (returns over 1.5 years are not that good). In such cases you definitely can have 2 fund to diversify your needs. Thanks for the review. This fund looks a great performer. Hi sir, thank you for this fund review. How can I invest in this fund. You can directly go to DSP Blackrock mutual fund website and you have a option to invest directly. If you are not KYC verified, you can do so by ekyc, just see my other post on ekyc and you will get ekyc verified within 2 days.